Since their introduction in the early 90’s, hydration systems (also referred to as hydration reservoirs and hydration bladders) have become increasingly popular among hikers, trekkers, mountaineers and other outdoor enthusiasts. This is mainly due to the fact that they, unlike water bottles, allow easy access to water and you have your hands free when drinking. The popularity of hydration systems was quickly noticed by manufacturers of backpacks, which is why most backpacks available nowadays are hydration system compatible. By compatible we mean that the backpack has an opening for the tube and a sleeve or pocket that can hold a water reservoir. That does not, however, mean that every compatible backpack actually comes with a hydration system; it is more common that the hydration system has to be purchased separately. Currently the most popular manufacturers of hydration systems are CamelBak, Source, Osprey (Hydraulics), Platypus and Deuter (which utilizes Source’s hydration systems under its own brand). While there are many good things about hydration systems, they do also have quite some shortcomings in comparison to water bottles. In the following we will go through the advantages and disadvantages of hydration systems when compared to simple “disposable” water bottles. To see the selection of the best hydration packs please check the Best Hydration Packs for Hiking and Trail Running. A hydration system provides very easy access to water as it allows you to drink on the go without stopping. On the other hand, a water bottle has to be retrieved from a backpack first and even if you are able to get it out of the backpack’s side pocket while walking, it’s quite difficult to put it back in without stopping and taking the backpack off – depending on the design of the backpack. This inconvenience can, however, be mitigated if you are hiking together with somebody else who can put the bottle in and out for you. When drinking from a water bottle, hikers also tend to drink more at a time as they know that they’ll have to take the backpack off (or ask somebody for help) before drinking again. When exhausted or in a hurry, they might postpone or completely omit drinking as to skip the hassle of retrieving the water bottle. In contrast, hikers who use a hydration system tend to take small sips of water throughout the hike. Taking small sips of water is especially recommended during strenuous activities as it doesn’t cause a splashing sensation in the stomach. Another thing to mention is that hydration systems should only be used for storing water as other drinks increase the growth of microorganisms. Thorough cleaning is required if hydration system was used with liquids containing sugar. Storing options greatly depend on the backpack that you are using. If you are planning to carry water bottles, you should use a backpack that has side pockets as this is the most convenient/accessible place to store them. However, on long hiking trips you will probably have to put some water bottles also in the main compartment as side pockets usually can’t hold more than two 1-liter bottles. Then after you empty the bottles from side pockets you replace them with full bottles from the main compartment. If you are planning to carry water in a hydration system, you should use a hydration system compatible backpack – which most modern backpacks are. These backpacks either have an internal or external sleeve for a water reservoir. 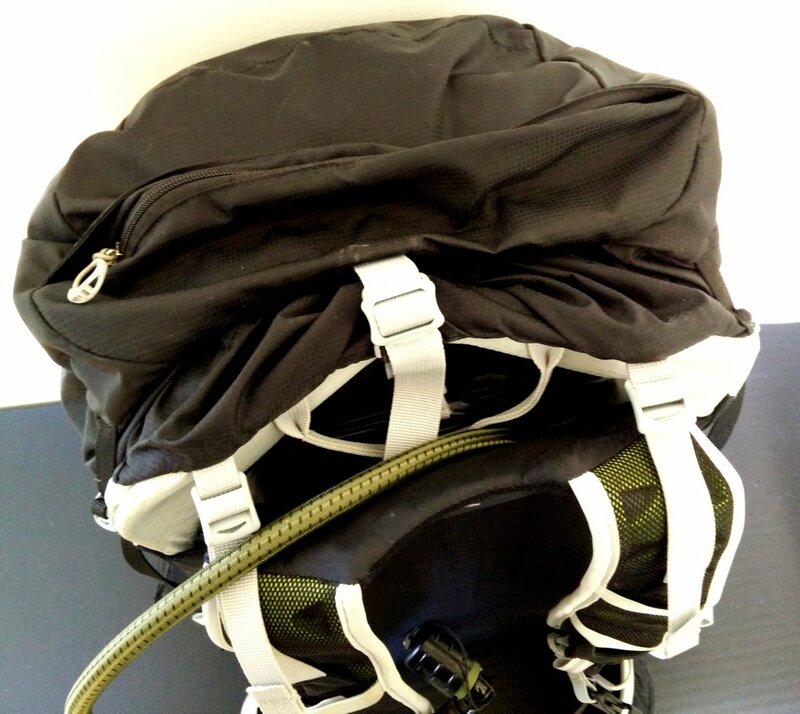 Internal sleeves are located in the backpack’s main compartment while external sleeves are usually placed between the main compartment and the backpanel. External sleeves are more practical than internal sleeves (see video below) as they allow you to insert the water reservoir even when the backpack is fully loaded. In addition to that, an external sleeve causes less hassle with the tube since it allows you to insert the hydration system with the tube connected as they have a fairly wide opening at the top. The hassle with an internal sleeve is that the tube first has to be disconnected so that you can put it through the small-sized opening that provides access to the main compartment. When inserting a hydration pack into the sleeve you should be also careful that the tube doesn’t get twisted as this will stop or slow down the water flow. 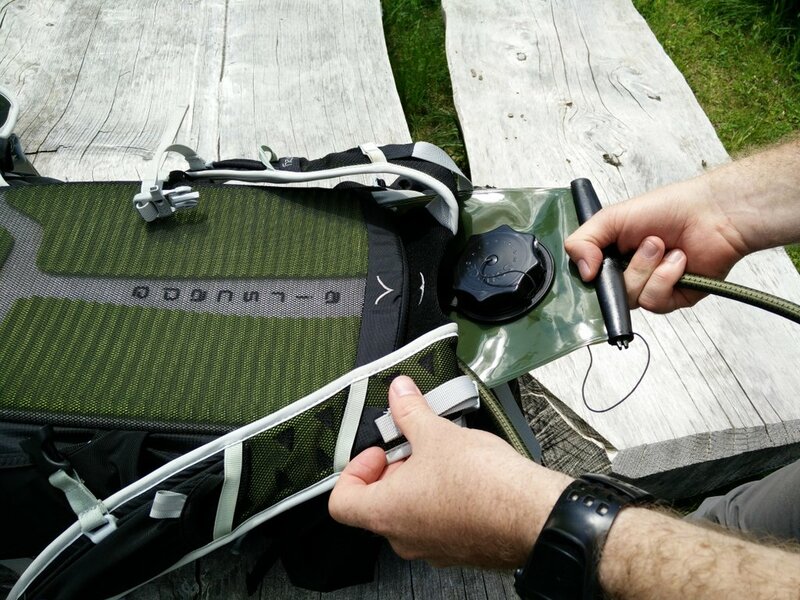 Therefore, if you are planning to use a hydration system on a regular basis, it might be smart to go for a backpack with an external sleeve rather than an internal. 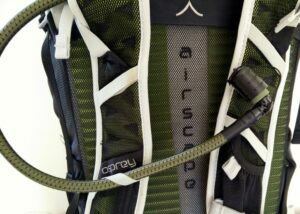 Examples of backpacks that are equipped with external sleeve for hydration system are Osprey Talon 44 and Osprey Talon 22. 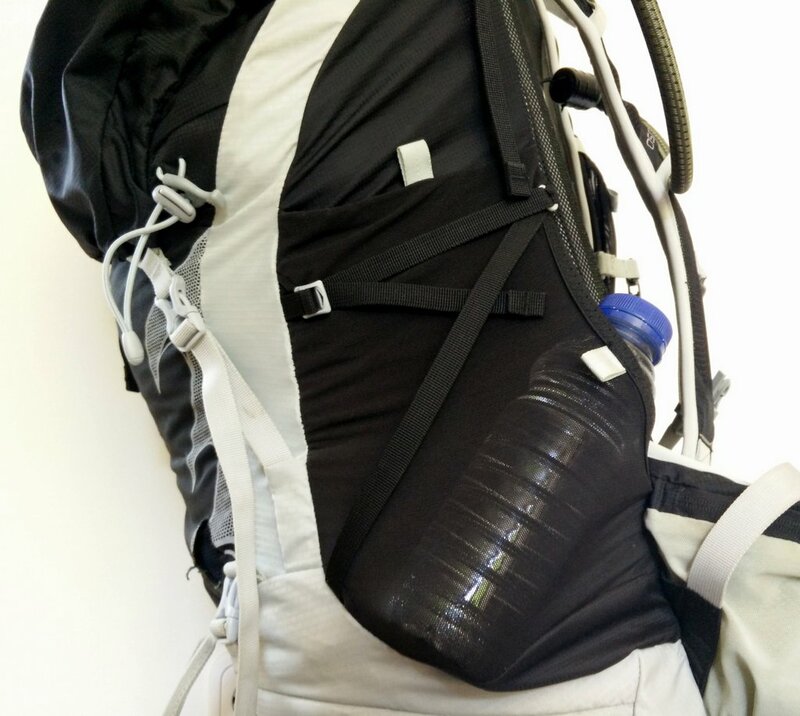 Water bottles are easy to refill while hydration systems can cause quite some trouble when it comes to refilling – especially if you are using a backpack that has an internal sleeve for hydration system. 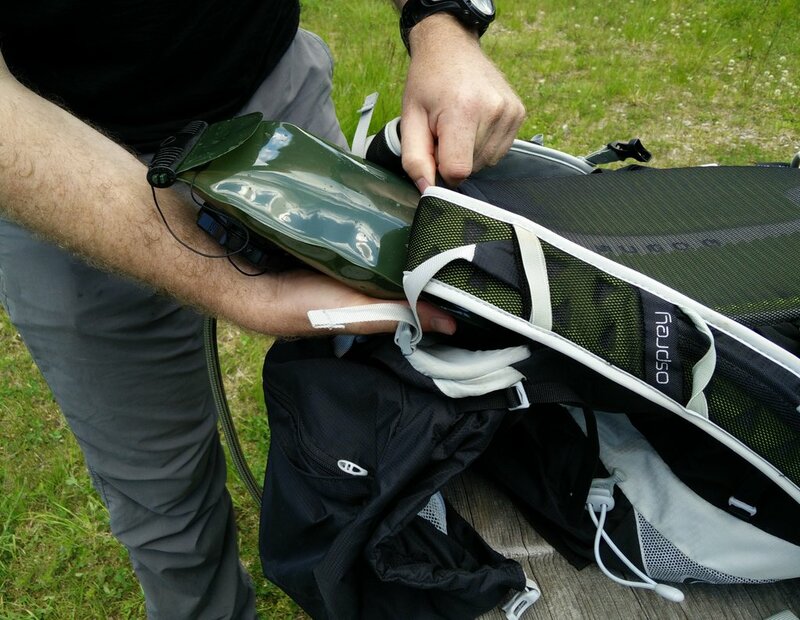 If you need to refill a hydration system stored in an internal sleeve, you need to partially empty the backpack in order to reach the water reservoir. You also need to disconnect the tube before you pull the reservoir out. Inserting goes in the opposite way and both tasks are definitely time-consuming. 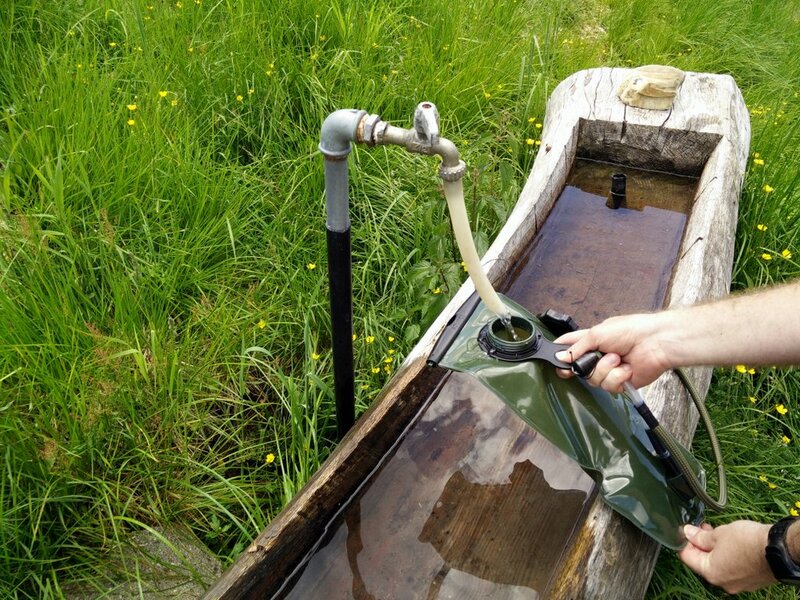 However, Source developed a kit that makes refilling easier – the tube refill adaptor which allows you to refill their water reservoirs directly through the tube. Unfortunately, this kit is only compatible with Source hydration systems. An additional limitation is that the reservoir has to be placed lower than the water source for the refilling to go smoothly. Therefore it’s hard to use it when you for example want to refill the reservoir with water from a river or small stream. If the hydration system is stored in an external sleeve, refilling is quite easy – you just pull the reservoir out together with the tube and then fill it with fresh water. 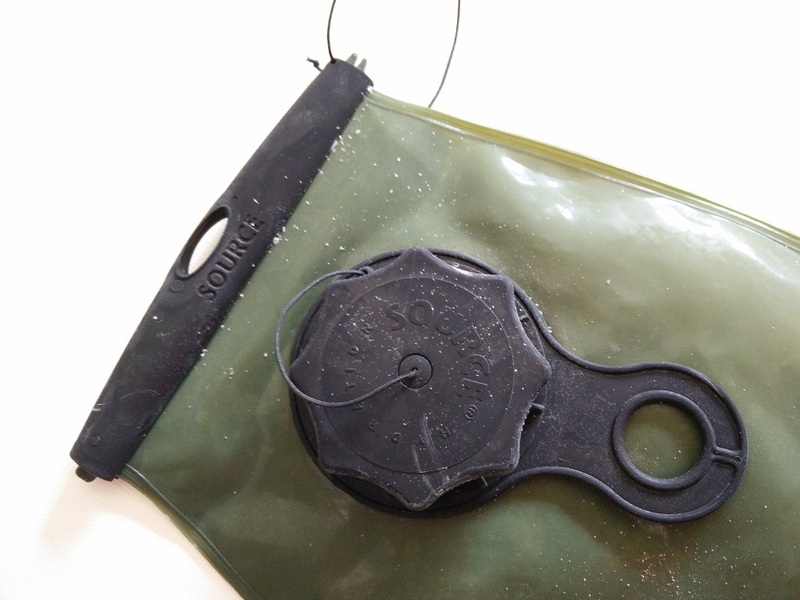 Different water reservoirs use different openings; for example Source and Osprey reservoirs are typically equipped with wide slide closures at the top while CamelBak reservoirs typically use snap cap closures. Both closures allow easy refilling. While water bottles can simply go in the (recycling) bin after a hiking trip, hydration systems require cleaning and efficient drying. If you fail to do so, you will most likely end up with a moldy reservoir and tube after the system has been out of use for couple days. Manufacturers use different antimicrobial technologies in order to prevent growth of micro-organisms as well as wide reservoir openings so you can easily clean the interior. However, the biggest problem is usually with the tube which is hard to clean and dry; sooner or later spots of mold will appear in it. These are especially hard to clean, even with the brush that comes in the cleaning kit for the respective hydration system (cleaning kits are usually sold separately). However, there might be one solution to the mold problem; many hikers report that putting the whole hydration system in the freezer helps keeping it mold-free. Keep in mind that the hydration system should be emptied and as dry as possible before it is placed in the freezer as too much water residue could cause problems with ice splitting the tube etc. Note: For the last three months I have been storing my water reservoir in the fridge and I can confirm that this keeps it mold-free. Most durability issues with hydration systems appear at joints (reservoir-tube joint and tube-mouthpiece joint) and mouthpieces. Mouthpieces (bite valves) are especially prone to leak after some time of use as they get torn. They can therefore cause leakage when positioned lower than the reservoir. If you are using a bite valve mouthpiece, inspect it regularly for damages in order to avoid leakages. Reservoirs, on the other hand, are very durable and can withstand high pressure without leaking. 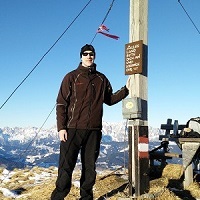 However, they shouldn’t be exposed to sharp object (crampons, ice axes) or very high temperatures (fire). Water bottles, on the other hand, rarely leak and offer great durability while being very light. 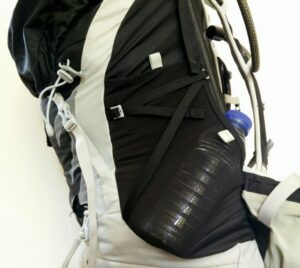 While water bottles stored in easy accessible (side) pockets can get very warm in summer, hydration systems can keep water cool for longer time as they are placed in the main compartment or behind the backpanel and thus protected against the sun. However, the tube and the water in it heat up very fast and thus the first couple sips of water are usually warm. In winter water can freeze in both hydration systems as well as water bottles. However, hydration systems’ tubes are especially prone to freezing as they hold very little volume of water. In order to mitigate this problem some manufacturers offer insulated (neoprene) tubes but this solution only slightly delays the freezing problem. Additionally, hydration systems are hard to deal with when wearing gloves; it’s hard to get them out of the backpack, disconnect the tube, open the slide closure etc. Empty plastic bottles from most soft drinks (excluding milky liquids which can quickly give a funky taste) can be refilled with water and thus basically come for free. A decent hydration system, on the other hand, costs 30 $ or more. A hydration system can last for over 5 years if regularly cleaned. However, poor maintenance drastically decreases its life. A hydration system comes in handy when hiking alone as it allows you to drink on the go without stopping. It is also very practical piece of equipment in warm weather because it lets you take small sips of water throughout the hike, keeps the water in shade, and holds more water than most water bottles. Therefore, it needs to be refilled less frequently and the water doesn’t get too warm. In cold weather hydration systems are hard to deal with; for example refilling is difficult when wearing gloves. Additionally, the water in the tube tends to freeze even when using an “insulated” tube. All in all we recommend hydration systems for hiking in warm and moderate weather, especially when you are hiking alone. In cold weather (below 0 C) hydration systems have too many shortcomings to be efficiently used.